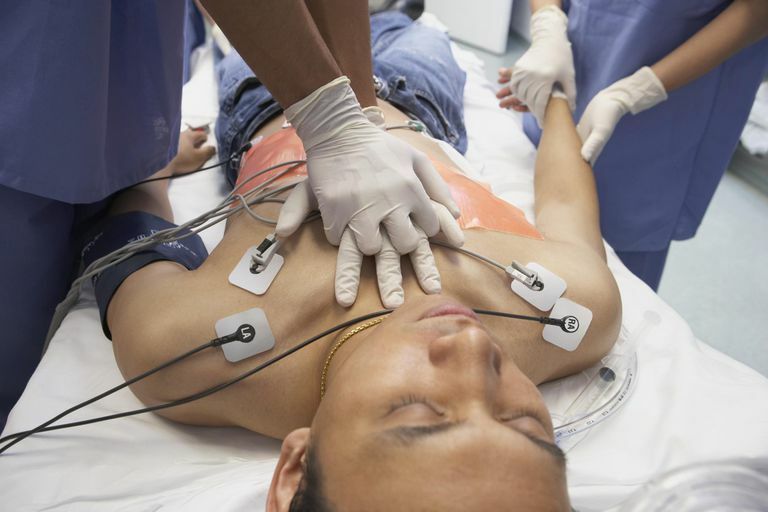 Basic Life Support (BLS) certification is a relatively short training course required of most clinical health professionals and public safety personnel. It's also a requirement for a number of jobs and volunteer work, including lifeguards, coaches, and some teachers. During the course, you will learn basic life-saving skills to help revive, resuscitate, or sustain a person who is experiencing cardiac arrest or a respiratory failure of some sort. This may include a drowning victim, a heart attack or stroke patient, or any emergency scenario where a person's breathing or heartbeat have been compromised. Who Is Required to Get BLS Certification? As the name of the certification implies, BLS is the most basic certification for life-saving training. It can be obtained with a class from the American Red Cross, American Heart Association (AHA), or other medical professional associations that offer such courses. The classes may only take a few hours to complete and some include both in-person and online training for more flexibility. The certification is typically good for 1 to 2 years before you will need to be re-certified. This is important because guidelines are often updated as new techniques are developed and become standard. BLS is often required of people who work with young children or elderly people. It is also a requirement of lifeguards, coaches, or anyone involved with people on a regular basis who could have any sort of life-threatening incident. Though not always mandatory, babysitters, nannies, daycare workers, and librarians can also benefit from BLS training. What Is Taught in a BLS Course? The primary skills taught in the BLS course include basic mouth-to-mouth resuscitation and CPR. CPR stands for cardiopulmonary resuscitation and involves chest compressions to help blood circulation. Training will include CPR for infants, children, and adults as different procedures must be taken for each group. Airway - Clearing any obstructions from the airway to allow air to flow to the lungs. Breathing - Making sure the lungs are filling with air. Circulation - Ensuring that blood is circulating through the body. Typically, the course consists of practicing the resuscitation exercises on a "dummy" and demonstrating a correct response in role-play situations during an emergency. This is vital because not only do you need to know what to do, but you need to remain as calm as possible while doing so. Participants are also trained in assessing a scene for safety, critical thinking in an emergency situation, and legal considerations as well as precautions to consider during a rescue. BLS training focuses on both single-rescuer situations as well as team rescues when more than one person is on the scene of an emergency. Additionally, there is a written portion of the certification that shows you have acquired the basic knowledge of what to do and when. In addition to BLS certification, you may want to consider a course in other basic first aid training. American Red Cross. BLS Training. 2017. American Heart Association. Basic Life Support (BLS). 2015.